In today’s mobile data dominated world, faster connections usually translate into bigger competitive advantages. 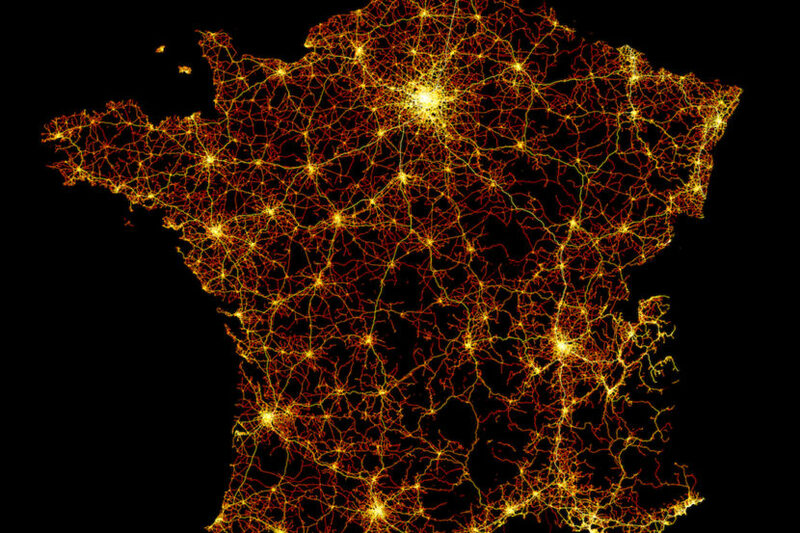 Today’s norm seems to be 4G connectivity but considering the vast amounts of data that we exchange even from our phones, that’s going to be insufficient in the near future. For autonomous cars, the data transfer will be even bigger, with terabytes of information being exchanged between cars and data centers. BMW is already prepared for 5G connections according to a recent press release. At the company’s Digital Day event, the Germans revealed that their models are already compatible with next-generation tech, like 5G connections. With improved transfer rates and minimized latency, the future 5G mobile standard offers significantly improved technical possibilities when it comes to data transfer – developments which can also be used to enhance vehicle connectivity. The BMW Group is already working on technologies which will help to utilize the full potential of 5G here. The aim is to be able to offer systems and functions based on 5G as soon as it becomes commercially available in series-produced vehicles in several years’ time. At Digital Day 2018, the BMW Group showcased the benefits of an innovative feature of 5G mobile networks known as network slicing. This technology involves making parts of the network infrastructure available on demand in a way that suits specific applications and their respective requirements. The customer has access to a virtual network made up of individual slices, which can be used to update HD navigation maps, for example, enable the direct exchange of data between vehicles and allow videos to be streamed in HD quality. Of course, all this connectivity also comes with an increased risk of leaking data. 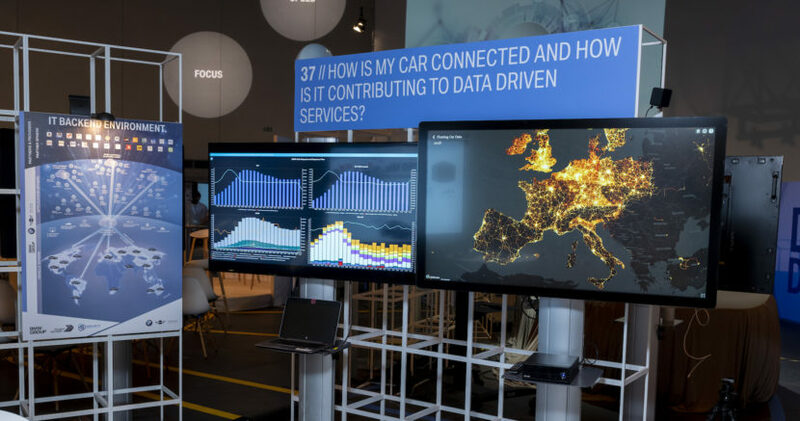 Connected vehicles are now able to receive live information and transmit data to the BMW Group’s permanently available IT backend via a secure mobile connection in a total of 46 markets. Besides real-time hazard warnings, navigation map updates can also be delivered over the air in this way. In future, the secure IT backend will provide the platform for other data-based applications. The BMW Group employs technologies from the fields of cloud computing and artificial intelligence to both optimize existing functions and develop new services. Data protection and data security take top priority here. Security and availability are guaranteed thanks to the coordinated interaction between specialized systems controlled by the BMW Group. This approach also enables regulated opening of the backend to integrate services from external partners, allowing the internet’s rapid pace of innovation to be used to the benefit of customers. 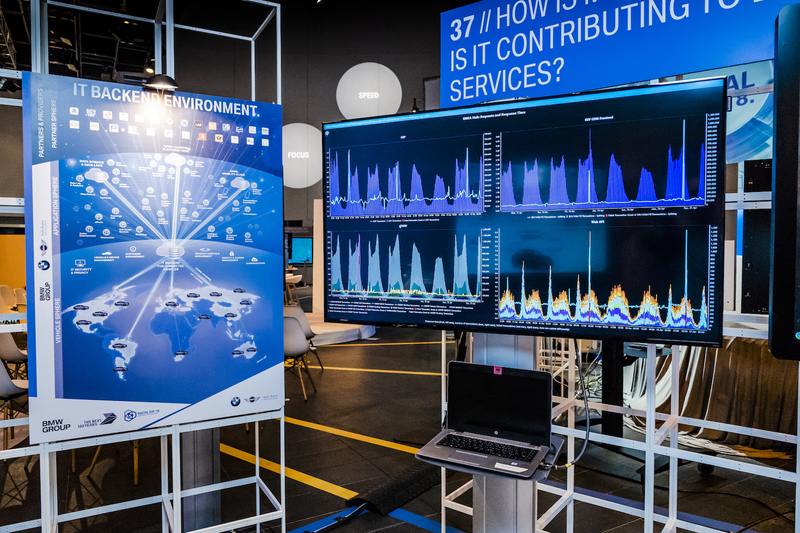 Specialized systems include the Open Mobility Cloud, which is used for providing personalized services from BMW Connected, and the Location Platform for transmitting hazard warnings in real time.